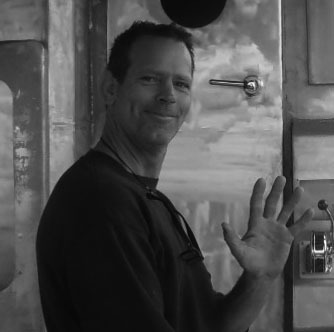 Meet Chris Tsantikos, owner/operator and seasoned Naval Architect with over 35 years experience designing and building boats around the world. Originally from Volos, Greece, and with a passion for the sea, Chris studied to become a qualified Naval Architect B.Sc. at Strathclyde University in Glasgow, Scotland. 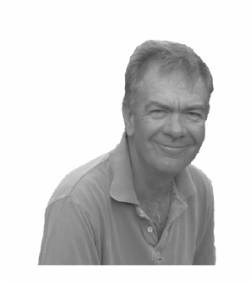 Once he graduated Chris travelled the world and went on to gain extensive experience in naval design and building. However; a chance visit to Fiji to build the cruise ship Reef Endeavour introduced him to the country that he would eventually fall in love with. And recognizing a need to have locally built boats, he then decided to set up in Navua and take on designing and building his own boats, aiming to supply boats specifically developed to meet the needs of the Pacific Islands. Salesh has been with Bluewater since it first set up in Navua. 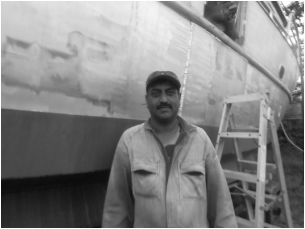 Originally a local fisherman, going out each day with a flat bottom timber boat and a net to catch fish for his living, Salesh is now Bluewater's main fabricator and brings with him fantastic skills and vast experience. Salesh also lives across the road with his wife and 3 children. Nirmal came to work at Bluewater at the age of 17. His first job was to help Amanda, (partner of Chris), renovate a small sailing yacht. 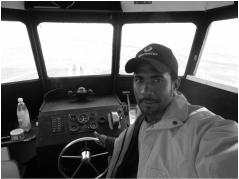 Since then Nirmal has moved from strength to strength gaining skills and experience in all aspects of boat building and is now one of Bluewater's brightest stars. Nirmal's workmanship and problem solving skills are excellent as is his attention to detail. Now in his early 20's Nimal lives just down the road from the yard and has a bright future in the industry. 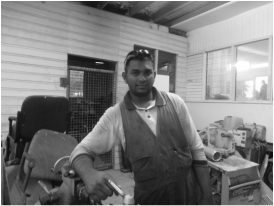 Originally one of the many taxi drivers you see driving around the Fijian countryside, Sai has worked his way up through the ranks of Bluewater to become one of our best welders. Like many other Bluewater workers, Sai is a family man and lives down the road from the yard. Vinnay is one of our secret weapons, our "Jack of All Trades". Vinay has the ability to be able to handle any task given to him and as a result has one of the most diverse job descriptions of anyone in the yard. Electrical, Welding, Building you name it, Vinay is proficient at them all. Add to that the fact the Vinay knows how to smile and work diligently under pressure makes Vinay a valuable asset to the Bluewater team. Rajnita runs the office and keeps everything including "the boys" under control. Rajnita is a qualified accountant and ensures everything is running smoothly behind the scenes. Nilesh is an experienced machinist but like all Bluewater staff is very versatile and is capable of doing additional work around the yard. Nilesh can weld, fabricate and even work on minor electrical work which makes Nilesh another valuable addition to the Bluewater team. 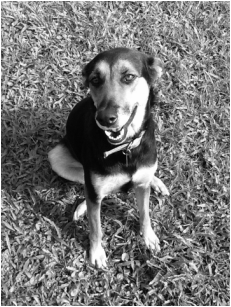 This is Kalista - beloved pet and unofficial Bluewater mascot. Kalista is another important member of the team and like all staff has multiple responsibilities including security, food disposal and telling tails. In addition as Mariners are famous for their superstitions, at Bluewater it is considered good luck for Kalista to be involved in at least one of the sea trials on all new boats.